We’ve just bought ourselves a new shiny screen to test the HTML5 magic (read widgets) in digitalsignage.NET that we are continuously creating. We’re using an IAdea HTML5 device to power the screen (their XMP 3250 to be specific) and as soon as we were up and running we shared a photo on Facebook. Our friends at IAdea liked it and Bryan Crotaz of Silver Curve enquired about a video of the magic in action. So here it is, freshly uploaded on YouTube. 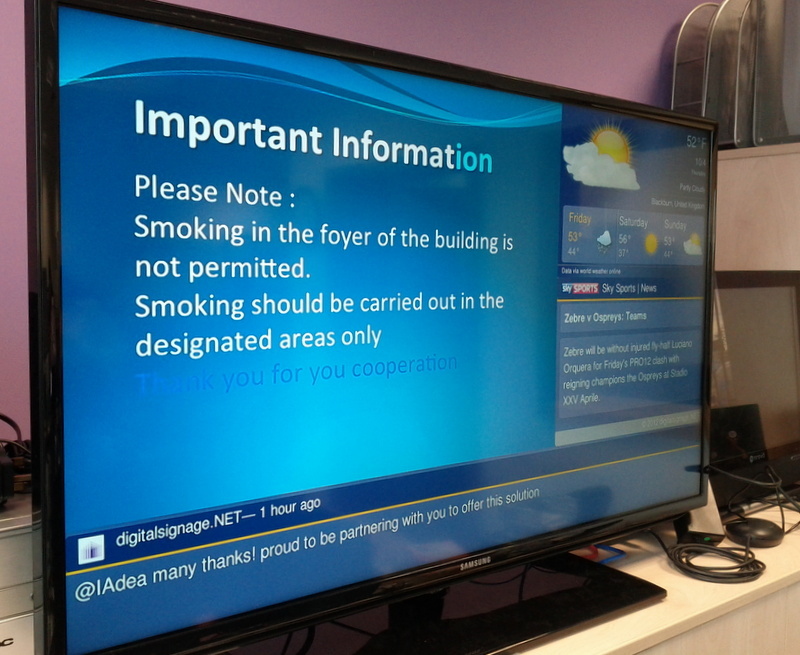 To design this, we’ve used a three-zones layout (one of the several you can use in digitalsignage.NET) to which we’ve added three widgets- weather, news and Twitter ones. Thanks to IAdea’s HTML5 device these could be played on the screen. 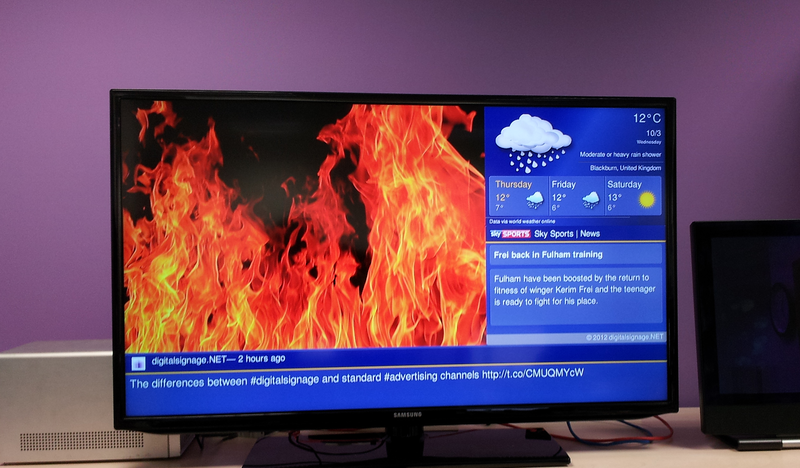 If you like what you’ve seen why not sign up to digitalsignage.NET for free and manage your media files straight from your web browser. Want to discover the magic behind the screen? Watch our webinar for a quick walk-through of our software. This entry was posted in Hardware, Software, Webinars by Dynamax. Bookmark the permalink.